Hello again! 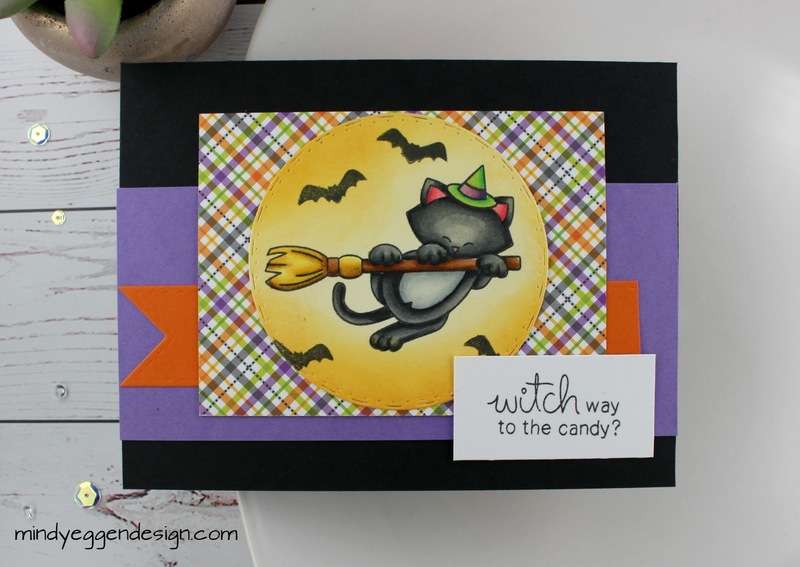 Today’s card is playing along with the sketch challenge over at the Ink Paws Challenge blog. I have a little video to go along with it too! You can view it here on my blog below or on my youtube channel HERE. 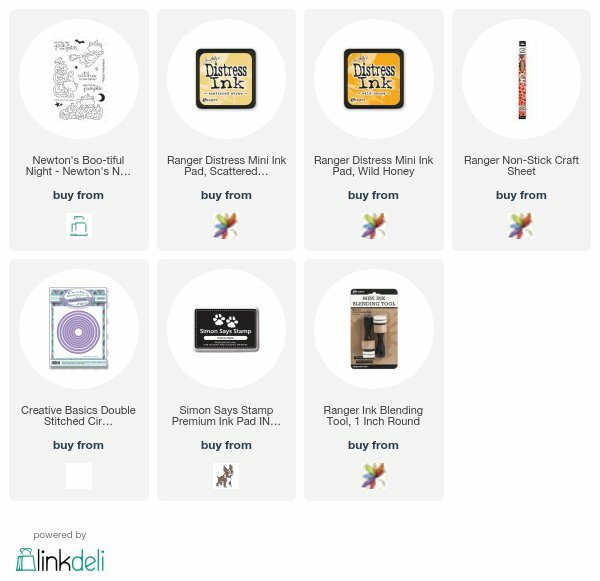 All supplies will be listed at the bottom of the post. Today’s card is a little different in that I decided to try copic coloring ontop of distress ink. I’ve never tried it before and I’m pretty happened with how well it worked out. The ink did soak into the paper a little differently but nothing I couldn’t work with. I started out with stamping my image from the Bootiful Night set onto Neenah white cardstock with Simon Says Stamp Black Ink which is a copic friendly ink. Then I ink blended Scattered Straw and Wild Honey distress inks. I die cut that piece with my stitched circle die. Next, I colored my image with copic markers. I like the yellow behind the image as I think it gives the kitty a little glow. I then layered my card to match the sketch. I stamped a few bats around my kitty as well to give it more of a Halloween feel. Wow! I just love your wonderfully colored background! 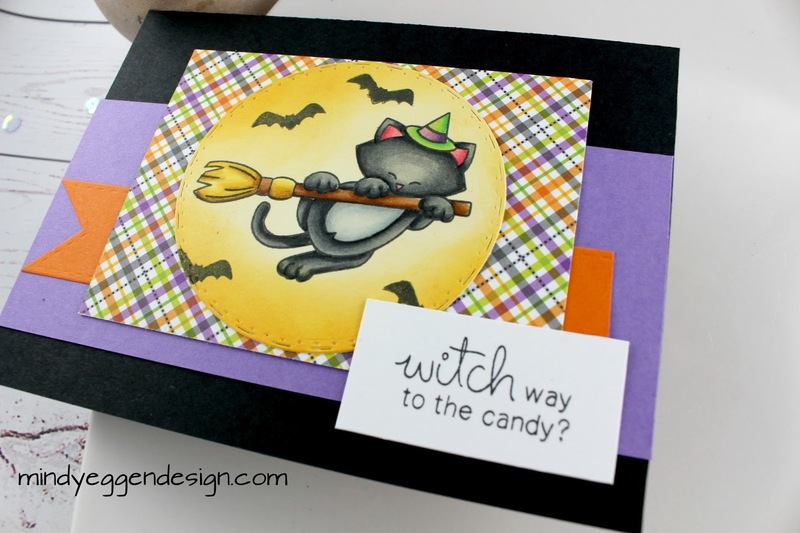 The bats swarming around the kitty witch is fun touch! So glad you shared with us at Inky Paws Challenge! So cute! Your scene is so incredibly fun! Thanks so much for joining us at Inky Paws! Really gorgeous! I love the colors and the fun little bats in the sky! 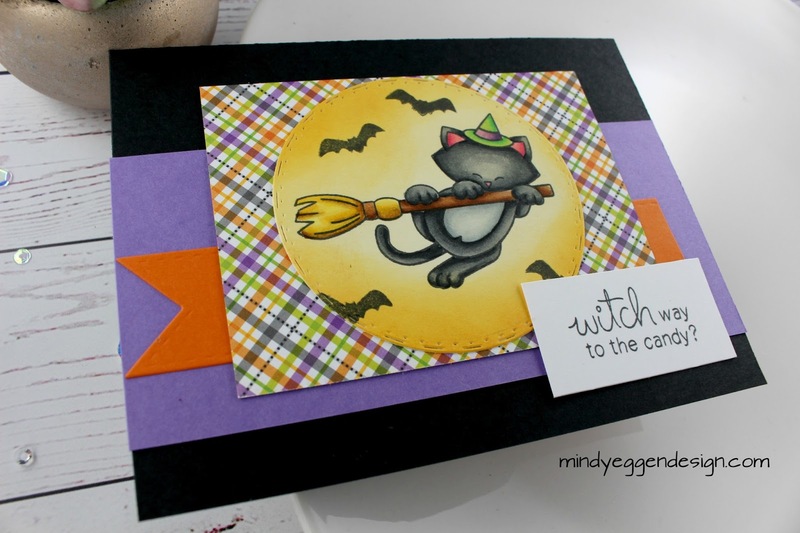 Thanks for playing along with our Inky Paws Challenge! Oh my goodness !! How adorable is Newton on this card !! You've managed to make a great light behind him !! Awesome job !